How far would you go for your country? Would you travel to Sochi and risk being attacked by packs of wild dogs or worse– being stranded many miles from the closest Starbucks? (Follow twitter handle @SochiProblems to find out more of the hilarious dangers associated with the host city.) Assuming you’re safely enjoying the Olympics from America, you know that the time difference has disrupted USA viewing parties. But not for the real fans. 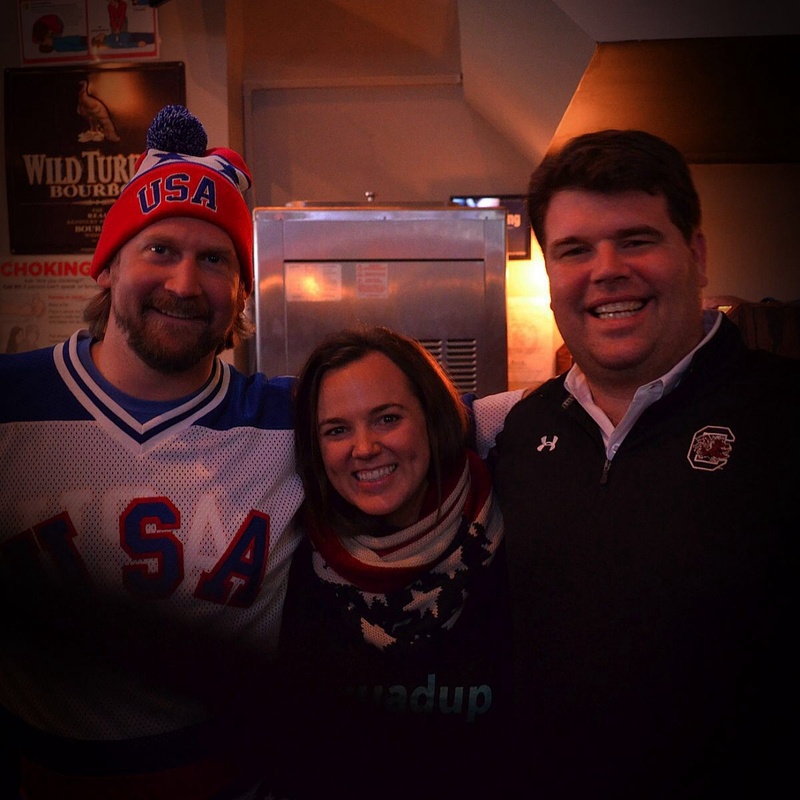 Streaker Sports, a sports apparel company with a deep appreciation for throwbacks, hosted a viewing party for the USA vs. Russia hockey game last Saturday. 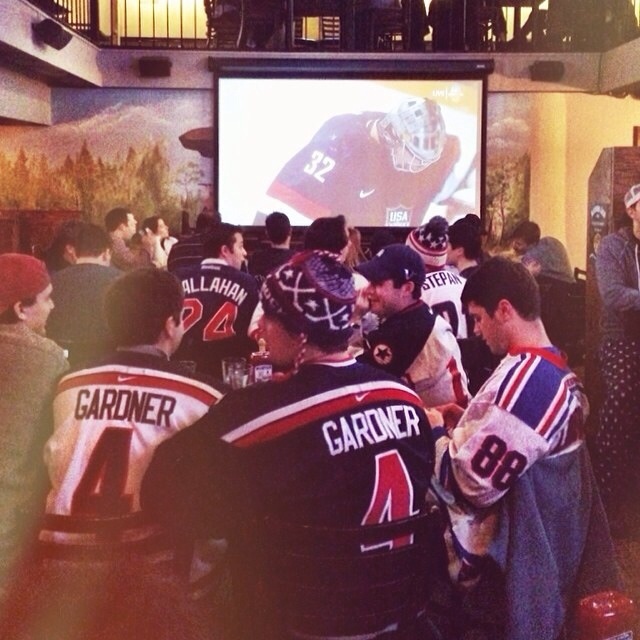 Any concerns about the 7:30am puck drop dissipated when 300+ New Yorkers decked out in red, white, and blue showed up to The Mason Jar early (doors opened at 7am) to support their favorite hockey team. The venue was perfect: two floors of ideal TV viewing space, “morning drinks” from Bloody Mary’s to Mimosas, and a full breakfast buffet. If you’ve ever been to the Mason Jar, for an event or a meal, you know that they pride themselves on top notch food. Beer. Bourbon. BBQ. Want to host an Olympic viewing party but need some help? Tweet @SquadUP for some inspiration!